Rotation four took about 12 minutes to complete and burnt about 60 calories (*time and calories burnt are based off of my body and level of exertion). And YES, I know I spelled “Bicycles” wrong, but the edit took too long to redo—my apologies. ♦ Move your arms like you are actually jumping rope, and get your feet off of the floor. Be sure to land with bent knees—in a plié if you will. ♦ Keep the same form on lunges as previously stated. ♦ Do not let your elbows flare out on the tricep dips. ♦ Fully extend your arm and opposite leg. ♦ Twist fully from knee to elbow on the bicycles. After this workout, I made a Sunday pancake breakfast! Yummy! 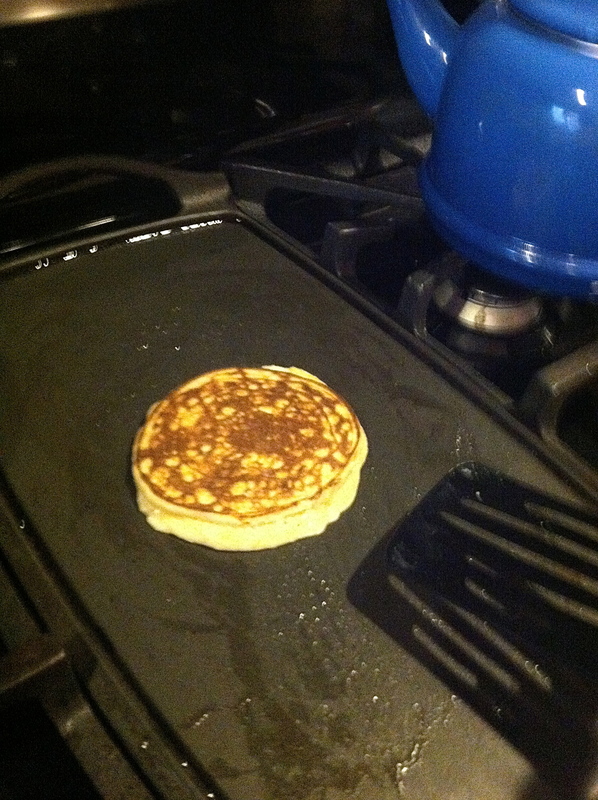 Oh, how I love pancakes. 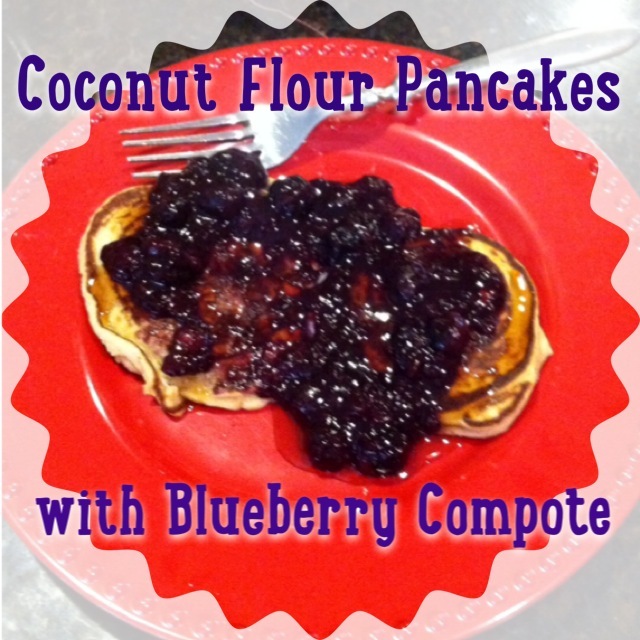 Today, I made Gluten and Dairy-Free Coconut Flour Pancakes with a Paleo Blueberry Compote. 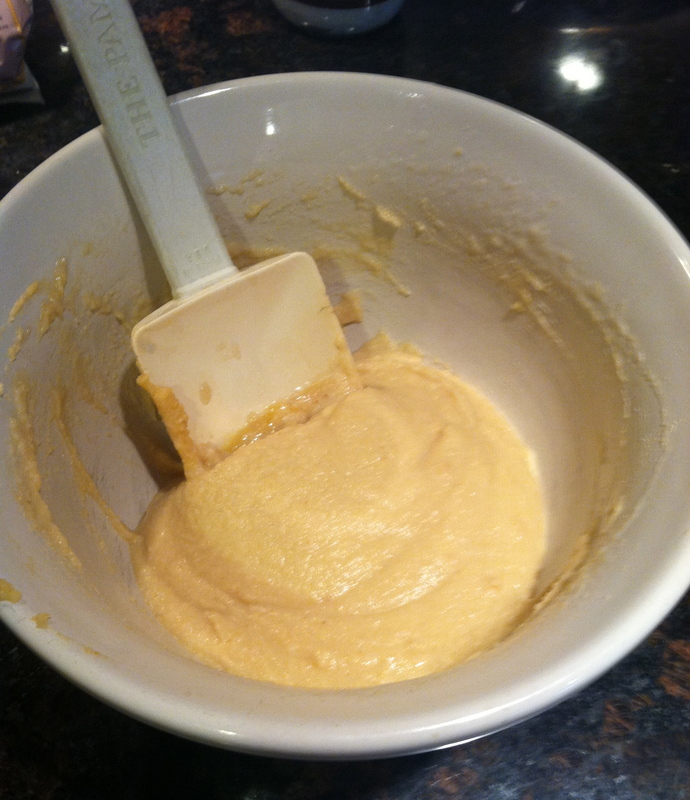 Mix the flour and eggs together until a smooth paste forms. Add in the applesauce, oil, and milk and combine until smooth and well-blended. 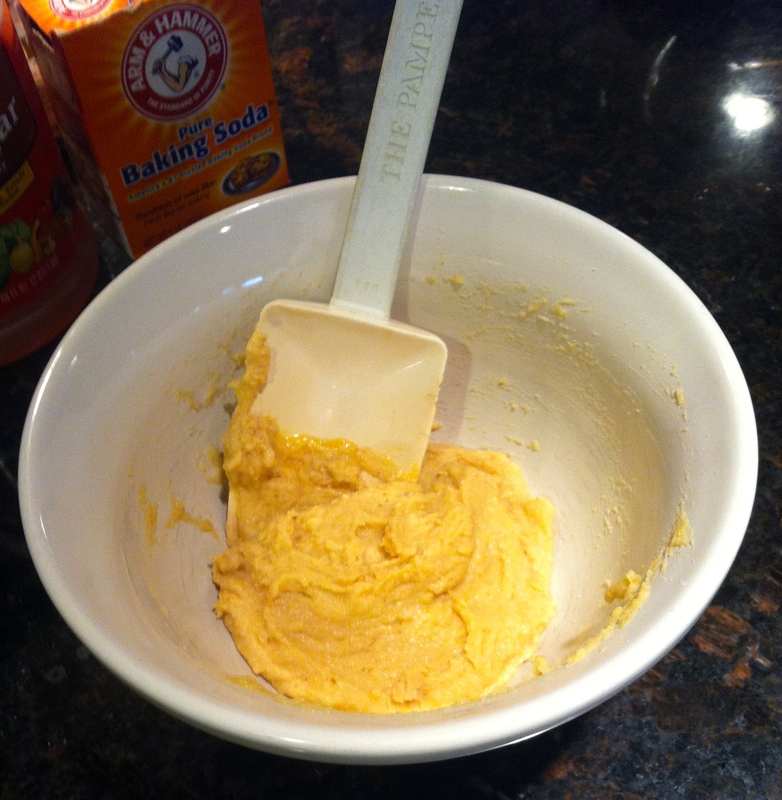 Add in the baking soda and vinegar just before cooking. 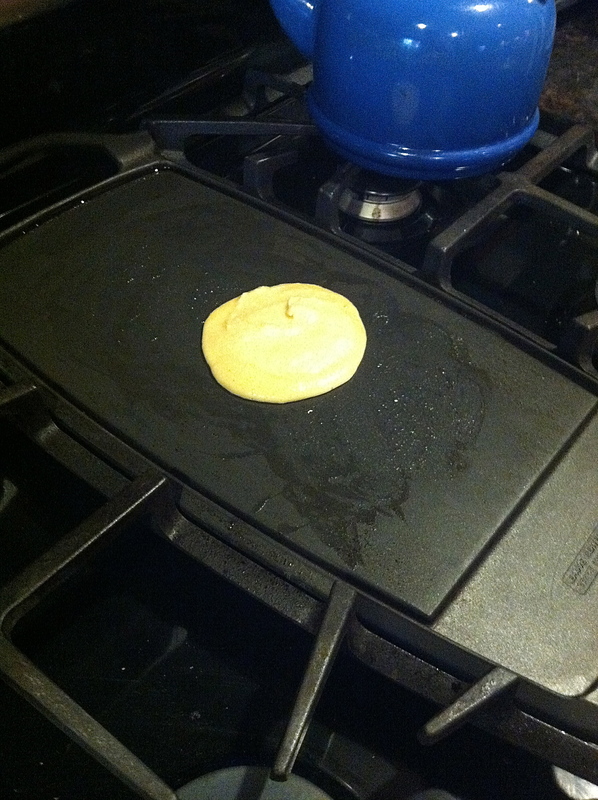 Onto a heated pan, drop 2 tbsp of batter into a circle and let it cook. 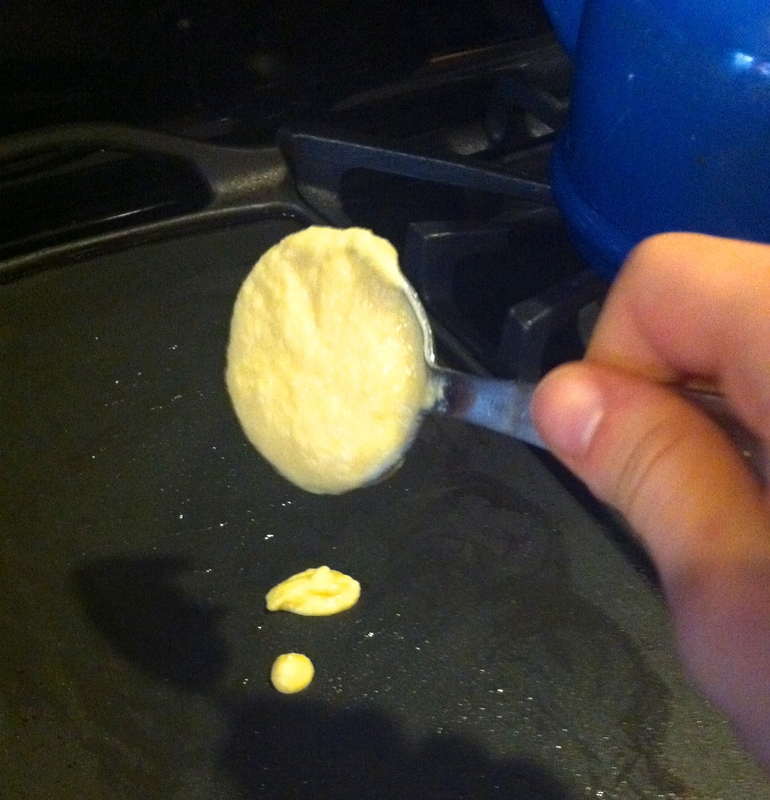 Flip the pancake when the edges have rounded and tiny bubbles begin to form. 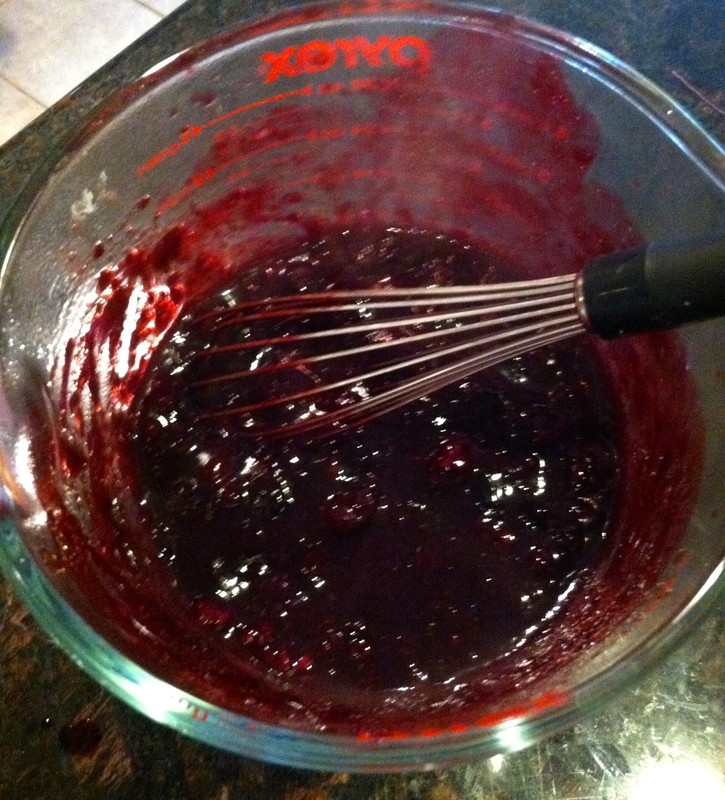 While the pancakes finished cooking (this recipe makes about seven pancakes), I began the Paleo Blueberry Compote. 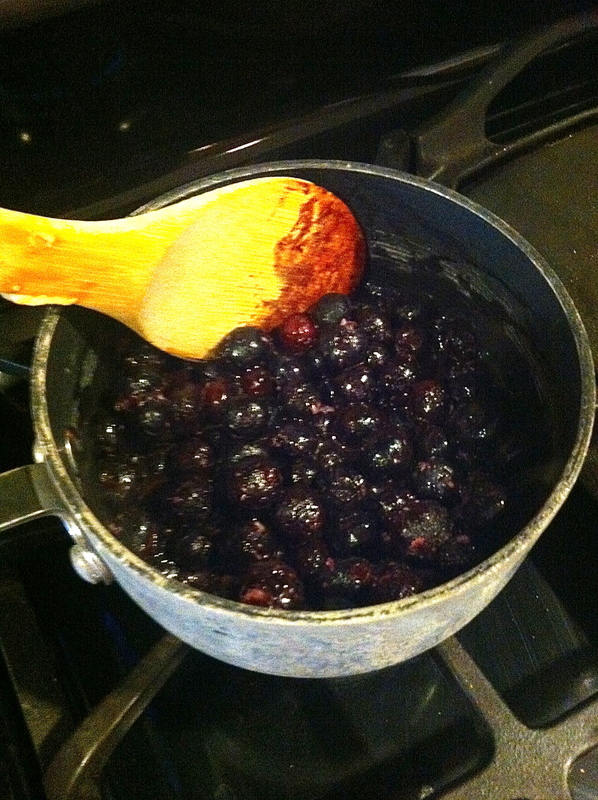 In a saucepan over medium heat, let the water and blueberries simmer for about 10 minutes until it begins to bubble. Pour the hot blueberries over the xanthum gum and whisk together quickly and throughly. This thickens the compote. Pour the hot compote over your pancakes to serve. I drizzled mine with a little honey too!